For 55 million years, the Namib desert has crept slowly from the Western coastal line towards the centre of Namibia, transforming almost 100 000 square kilometres of arid land into one of the most spectacular works of art Mother Nature has ever produced. To the uninformed observer, this landmass of sand must seem impenetrable, eerie and dangerous. Early explorers often perished after food and water supplies ran out, or were threatened by extreme temperatures and fearsome animals. The few that persevered were not only amply rewarded, but paved the way for the modern traveller. Today a visit to the Namib desert still offers the visitor a snapshot of the past but infused with modern technology. Luxury lodges, guest farms and a significant infrastructure have opened the doors of this magnificent area to visitors from all over the world. However, the influx of travellers and modern amenities poses a threat to the delicate balance found in the desert. An awareness of these threats to the local fauna and flora should be a priority for all parties involved. If this responsibility is ignored, it may result in grave consequences. Many tourist-driven activities are currently actively involved in conserving the desert for our children, a policy that should be supported not only by Namibians, but also by visitors. A symbiosis between the Department of Nature Conservation and commercial concerns is crucial for the survival of the desert, while the involvement of the indigenous Nama people is essential for the survival of this extraordinary population of desert dwellers. 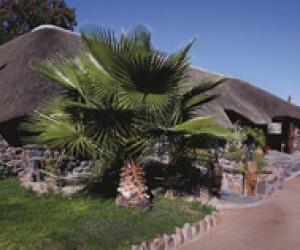 The conservation of natural resources currently practiced by many tourist-orientated farms is encouraging. This, in addition to active recycling activities offers the eco-friendly traveller a value-for-money “off-the-beaten-track” experience of a lifetime. 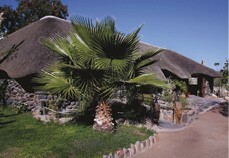 Weltevrede Guest Farm is one of these places to rest while visiting the highest dunes in the world. Here you can end a perfect day while watching the sunset from your own porch overlooking the dunes.